Sally Ruth Crisp Sain, affectionately known as “Bird”, was born on June 30, 1951 to Sallie Mae and Knox Crisp in Bolivar, TN. She is the fifth child of eleven, born to this union. She graduated from Bolivar Industrial in 1969. On July 19, 1986, Bird married the love of her life, Lawrence Sain. She worked as a home health aid for over 30 years until her health failed. She confessed a hope in Christ at an early age, joining Bethlehem MBC where she remained until her death. 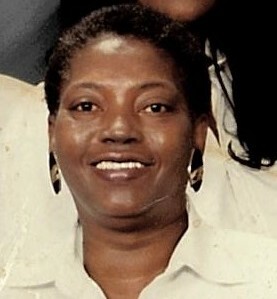 She was proceeded in death by her parents, Sallie Mae and Knox Crisp, her maternal grandparents, Percy and Mary Taylor, paternal grandparents, Monroe and Callie Crisp, and parents–in-law, Will and Mamie Franklin. She leaves to her cherish her memories, a loving husband, Lawrence Sain, one son, Antonio Crisp of Nashville, TN, one stepson, Lawrence O’Neil Sain of Nashville, TN, six sisters: Sadie (Willie) Miller of Jackson, TN, Geneva (Isaac) McKinnie of Bolivar, TN, Mamie (Carlton) Allen of Whiteville, TN, Rebecca (Becky) Laster of Southaven, MS, Pamela and Mesha Crisp of Jackson, TN, four brothers: Arthur Lee and Terry Crisp of Bolivar, TN, Forrest (Jackie) Crisp of Memphis, TN, and Micheal Crisp of Jackson, TN, four grandchildren: Ashley Dean Parson and Paige Crisp of Memphis, TN, Alexis and Alijah Crisp of Nashville, TN, three great-grand children, three sister- in- law’s, two brother-in-law's, and a host of aunts, uncles, nieces, nephews, cousins and friends who love her dearly.